Note: if you wish to split your donation, or if your company matches donations, please submit a printed pledge card. We sugges $55 per child, but welcome all donations. Once you click Submit you will be redirected to PayPal to complete your donation. You can have more than 1 school linked to your card. The code for East Cary is 6889. 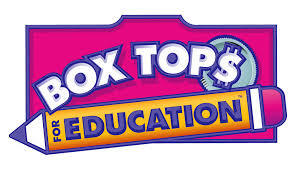 Earn money for ECMS by dropping off your box tops in the media center.